Stripping Costs Out of Heavy-Duty Truck Maintenance--Help is Here! -- And technicians, well, technicians would probably spend their time training for another line of work. In reality, having access to top features of asset maintenance software can give your company benefits that make a world of difference for everyone involved in fleet management. Imagine virtually unlimited potential to reduce maintenance and service costs, increase warranty recovery--all while extending vehicle lifecycles. Downtime means losses. Trucks that aren’t running are costly in time lost, deliveries delayed and customer expectations not met. And that’s a problem. Precise functionality and user-friendly features make everyone’s job easier--and every day run smoother. Grab all repair activities, including those in the field repairs and use business intelligence resources to identify and eliminate inefficiencies in the maintenance area with TMW’s mobile trucking app. You gain great insight into daily activities and industry best practices. Using predictive algorithms, TMW Asset Maintenance software can alert the maintenance manager in advance of needed service. Maintenance managers and service writers can schedule predictive condition-based maintenance to maximize vehicle in-service time. By tracking labor standards and technician productivity, the system provides reports with useful information to guide personnel assignments. software captures pre- and post-trip data as well as meter, fault code and mileage data. It tracks repairs done on the road by third-party service providers and shares vehicle history with them. And it provides real-time cost data to upstream business systems. Using intuitive touch screens at every service-bay workstation, technicians have instant access to service records, warranty tracking parts inventory to eliminate manual work orders. Warranty repairs are tagged and claims filed with the OEM. The fleet shop maintenance software assists drivers, too. It issues fault-trip alerts and can direct drivers to service. It gives them mobile access to the vehicle’s repair history. And it facilitates two-way communication between home base and any third-party service provider. To streamline information flow throughout data-driven business operations, asset maintenance software from TMW offers full reporting functionality to every department and database in your enterprise system, including financial, dispatch and routing. It is built on a single database with multi-point access from any location--on-premises, mobile, remote--through the cloud or your IT infrastructure. 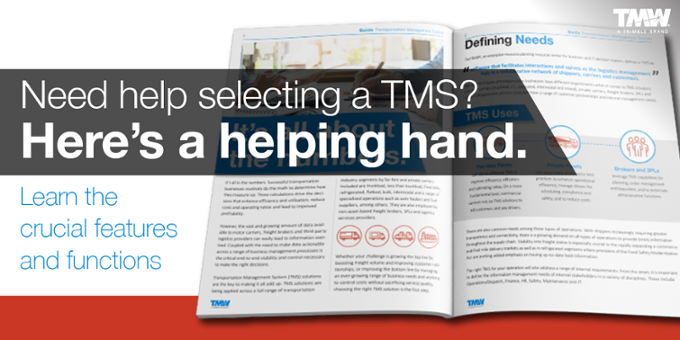 What’s more, your vehicle maintenance software solution integrates seamlessly with your transportation management system including, but not limited to: TMW.Suite, TruckMate and Innovative IES. Integration is available to a selected few other non-TMW providers. The result? More cost-efficient use of your existing software, your facilities, your staff, your trucks and your resources. Typically, more repairs are required as vehicles age. 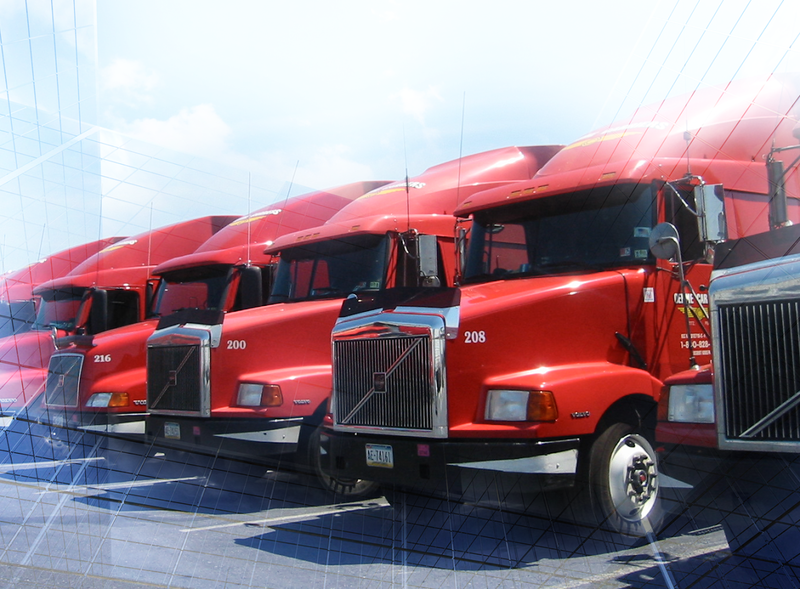 With TMW Asset Maintenance solutions, more fleets have the option to keep their trucks longer and in better condition. TMW helps extend vehicle life and reduce lifecycle costs by scheduling regular maintenance to avoid costly service and by tracking aftermarket in-service warranties to ensure cost recovery. Sophisticated transportation analytics provide in-depth data capture, processing and reporting. More data, better data and better reporting ensure more efficient and more cost-effective fleet maintenance long term, keeping your truck assets in service longer. The bottom line: TMW Asset Maintenance solutions generate thousands of usable, real-time data points on every truck you have in service, wherever it is in service. Data tracking and record keeping by truck make, model and component vendor for each truck over time provides another important reporting function: It gives you valuable insight to guide future buying decisions. TMW surrounds your asset maintenance solution with a full range of professional support services to assist with startup, minimize the learning curve and help you realize payback without delay. Services include consulting and application assistance, on-site training and web-based training and tutorials.In the information age, TMW Asset Maintenance is your information edge for truck repair shop software. Looking for a modern transportation management system to increase your situational awareness? Download "The 20:1 Solution- Calculating the ROI of a Modern Asset Maintenance I.T. Solution" and learn how you can realize optimal efficiency by delivering the maximum number of loads in a given period of time using the resources available, all while avoiding errors.